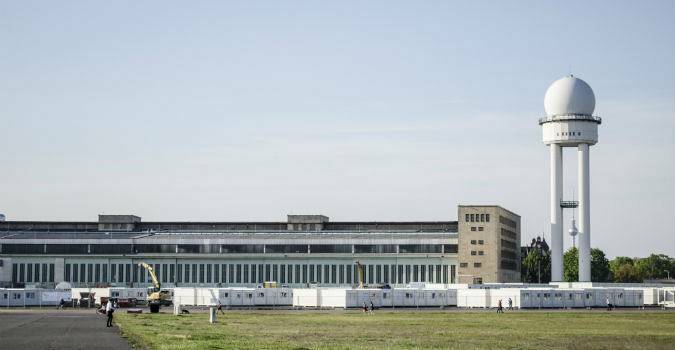 More than a thousand refugees will soon move into homes on the site of the old Templehof airport in Berlin, a site which residents had voted to preserve as a park. For the moment, the old runways are used for bike stunts, land yachting and skating, following a referendum in May 2014 which called for the building to be banned on the land. 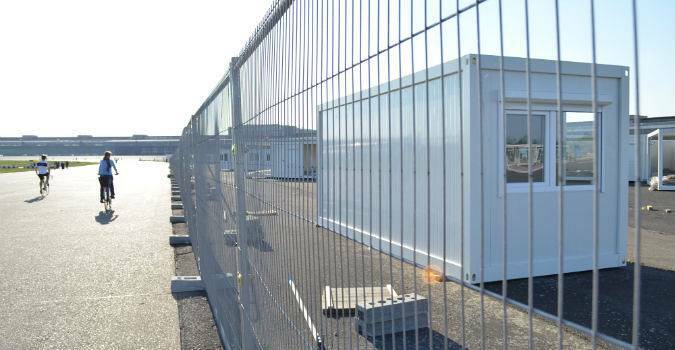 But soon 976 prefabricated homes will be installed on an area of the site the size of 12 football pitches, in what residents worry could be just the tip of the iceberg. Each cabin will house up to four people in two bedrooms with a separate bathroom and kitchen. They are due to be removed by 2019, when their inhabitants should have been resettled. The use of the land is not the only concern, some worry for refugees forced to live in an effectively closed community. 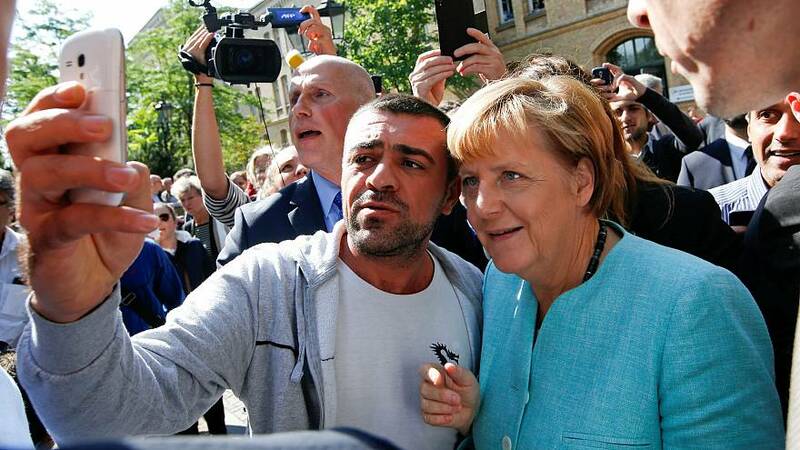 “They are planning to grow up a ghetto,” Berlin integration’s senator Elke Breitenbach pointed out. 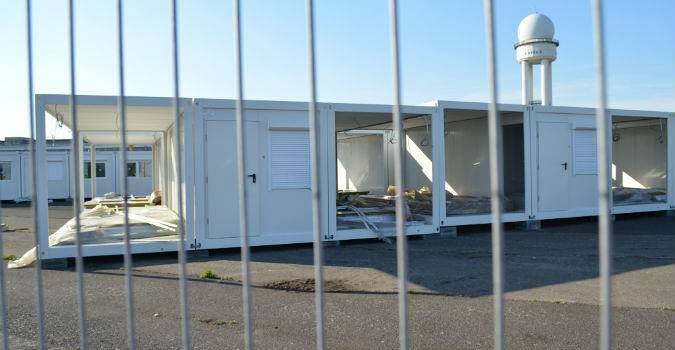 Another debate is around the cost – 16 million euro for a site with a lifespan of two years. “It is important to find a solution where they can live in good social conditions, like through help to find a flat because many of them don’t speak German,” said Anne Zimmermann a former worker at the airport. 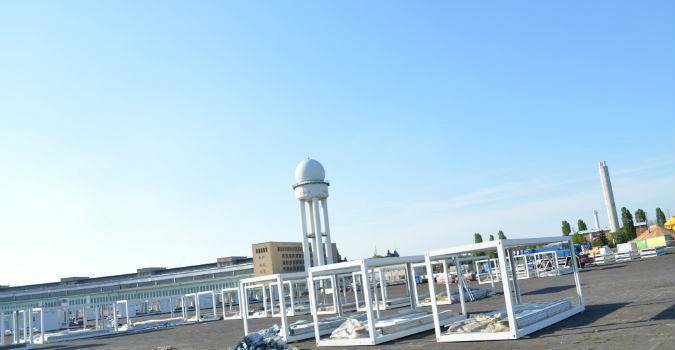 Due to a lack of housing in the German capital, some asylum seekers have been living in gymnasiums for more than a year and the plan is that some of these people will also gain a more suitable home on the airport land. Dirk Reitze, Secretary of Berlin’s CDU says that the emergency accommodation in aircraft hangers was a necessary response to the surge in numbers of refugee arrivals in the Berlin, which is home to more than 35,000 refugees and asylum seekers. 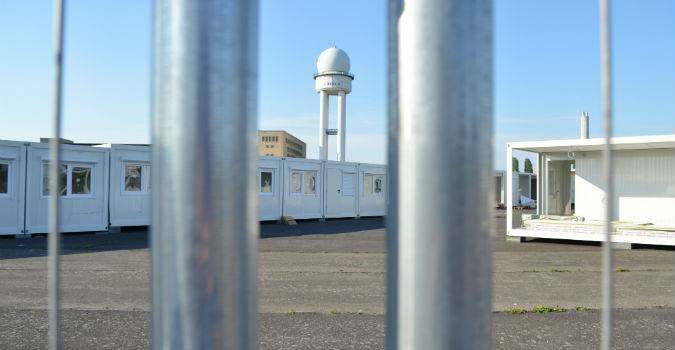 “The emergency shelters in the hangars in Tempelhof are not suitable for long-term accommodation and care of people, since they do not have enough sanitary facilities (WCs and showers) and no possibility of privacy or even cooking. “In the temporary prefabricated homes families have sufficient sanitary facilities per dwelling unit, as well as sufficient kitchens to provide themselves with meals. The inadequate accommodation in the old hangars can thus be ended and the resulting social tensions are also easily reduced”.